Council approves two tenders for Trapeze Software to overhaul scheduling software and install new fare boxes, but electronic payment is still years away. Please trust this bus with your credit card info. The municipality is spending a lot of money bringing Halifax Transit’s technology up to speed. 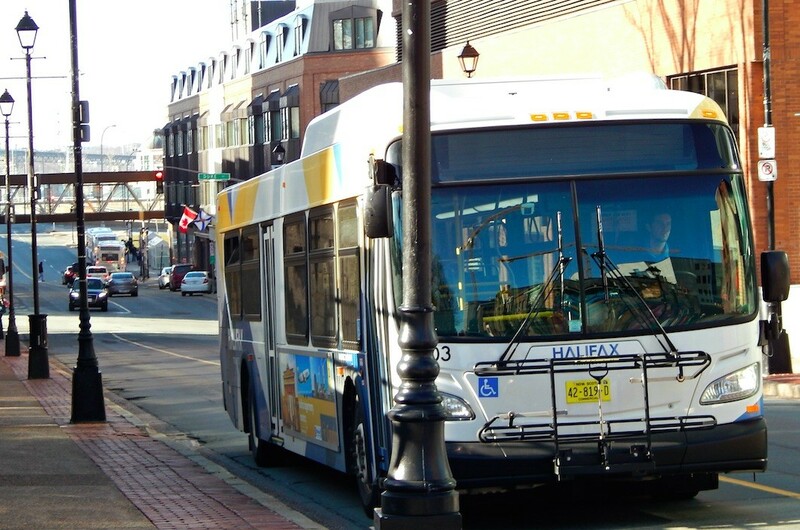 Council voted on Tuesday to pay Trapeze Software nearly $14 million to overhaul Halifax Transit’s tech by creating new back-end scheduling software and installing some fare boxes. Trapeze will receive $7.1 million for phase one of the city’s fare management upgrade, along with a $1.5-million cherry on top for providing maintenance over the next five years. The new fare boxes will have cash validation and passenger counting features and will print transfers instead of having drivers manually ripping them off the dash. Fare collection at the ferry terminals and Transit’s back-office software will also see upgrades. Halifax first tried upgrading this tech in 2015, but the project was cancelled and split in two once it became clear no single company could handle both halves of the planned improvements. The second phase of the fare management upgrades will finally install a long-awaited electronic payment option for riders, which is expected to use some combination of smart cards, credit cards and cellphones. Despite all the tech-thirst at City Hall, Bedford–Wentworth councillor Tim Outhit cautioned against letting the digital bells and whistles distract from Halifax Transit’s street-level problems. The measure of success is in the usage, said the councillor, and not whether someone can pay for something with their phone—which, he admitted, is still pretty cool. The Toronto-based Trapeze will also take home $2.2 million for providing a new route planning and scheduling system, along with an extra $2.9 million for support and maintenance over the next decade. Halifax Transit’s current scheduling system is inefficient and inflexible, according to staff. The new software will upgrade everything from daily assignment notification, payroll and route definitions, and include the real-time tracking of accidents. The software tender came in under staff’s original budgeted estimate, but Trapeze’s bid was still $1 million over the only other applicant, GIRO Inc. Trapeze won out by scoring higher in “solution requirements.” But given the large dollar values, some councillor were wary of approving the tender based largely on a single, vaguely summarized category. Nova Scotia is looking to create a new innovation clubhouse for the augmented, mixed and virtual reality industries.